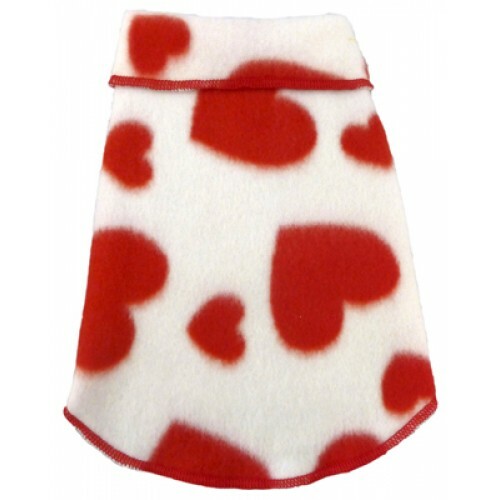 Show your doggy your love in this adorable dog fleece pullover. Red hearts cover it in love! These fleece pullovers are super soft and lightweight anti-pill fleece. They are machine washable. Made in the U.S.A.